As you probably know by now (or at least should), we decided to take the bold move of sharing our very own stoner etiquette guide with our devoted fans and followers. Unsurprisingly, more than a few entries stir up quite a bit of controversy and discussion, which if we’re perfectly honest is exactly what we were going for! Unless you have received express permission from the person who actually lives at the property you’re smoking in, do not automatically assume that it’s cool to light up a standard tobacco cigarette. For many stoners, the lingering smell of standard tobacco smoke is completely and totally repugnant. On that same note, it is also extremely important to check with everyone you intend to smoke with whether or not it is cool to mix tobacco in with the cannabis itself. Once again, there are plenty of people who find the very notion of mixing tobacco with cannabis nothing short of vile. If you happen to make a mess of anything during your smoking sessions, pull your finger out and do something about it. From spilled drinks to ash on the floor to splashed bong water and so on, even if nobody saw you do it, this is no reason to pretend it never happened and leave it to someone else. In a similar vein, anything you happen to damage or break during a smoking session that isn’t your property is something you should pay for or replace without being prompted. That being said, if it is you that is hosting the session and one of your guests should accidentally break or damage something of yours, it’s really not the done thing to immediately insist that they pay for or replace it. Accidents happen – it’s all part of the package. Try to remember that if you decide to go primarily with pipes and bongs for any given smoking session, it’s good etiquette to follow exactly the same rules as you would with a joint. Or in other words, whoever it is that packs the bowl technically has roller’s rights, but should still offer the first hit to whoever purchased the weed if they didn’t personally contribute. Pulling rank is one of the worst habits (not to mention the most common) among stoners at all levels. This basically refers to any instance where you or anyone else decides to stray from the rules entirely, simply because they were the ones who purchased the weed and therefore believe they have authority. You might get your own way, but you’ll also earn a horrible reputation in doing so. Never under any circumstances turn up to a group smoking session empty handed this is poor stoner etiquette. Regardless of whether the host has already told you there will be an endless supply of everything on tap, it’s still good manners to bring something along. On the other side of things, if it happens to be you that’s organising the session, you cannot expect everyone to bring their own contributions of any kind. In fact, it’s better to assume they won’t and to stock up as heavily as possible yourself. Be as kind and courteous as possible to any member of the group who tries their hardest to roll a joint and fails miserably in the process. This is far better than the lazy sods who just sit around all night and don’t even bother trying. Under no circumstances should you ever push anyone in the group to keep smoking after they’ve made it clear they’ve had enough. This might possibly be the most ignored and overlooked rule in the entire stoner etiquette bible, but it’s still a pretty important rule. Don’t even think about becoming the incredibly annoying member of the group who spends the entire session shooting videos, taking selfies and basically documenting every second of everything that goes on. This really is the kind of irritation that warrants being booted from the circle permanently. In the same vein, if you’re the type of person who spends at least 90% of the evening glued to your smartphone checking out social media and the like, you might as well have stayed at home and smoked on your own. 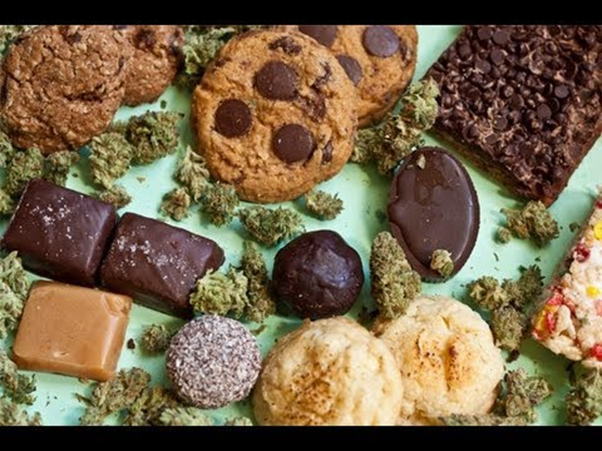 If you make the decision to bring cannabis edibles to the party, be extremely mindful about those who may not be experienced with such goodies. You might know what you’re doing, but this doesn’t mean everyone else does. On the same subject, it really is unforgivable to even consider feeding cannabis-laden snacks and treats to anyone else without telling them what’s in them. Spiking drinks and snacks alike is the mother of all line-crossings. When attending other people’s homes for smoking sessions, try to get into the habit of treating it exactly as you would your own parents’ house. Even if you don’t mind your own place becoming an absolute pigsty, this doesn’t mean you can adopt the same attitude elsewhere. In addition, even if you know the gesture will be turned down, you should still offer to help with the clean-up efforts before you leave. Bailing and leaving one or two people behind to get the place looking respectable again isn’t cool. Unless you have received express permission from the organiser of the session, do not even think about bringing along an extra person unexpectedly. That is, unless you are looking for a serious buzz-kill. Freaking out friends while high as a kite can be incredibly satisfying – unless they are already having something of a freak out, of course. If things are all going great, make with the practical jokes. If someone is bordering on freak out territory already, don’t even think about it. Last but not least, knowing your limits is also one of the most important rules of all when it comes to stoner etiquette. After all, there’s no better way of destroying everyone else’s night than transforming into a drooling, puking vegetable with about as much charisma as an STD. Now go into the world and use your stoner etiquette to good effect.